We’re so nearly there! Keep on reading into the Easter holidays so we can reach our target number of books read for this year. Due to popular demand, Read for My School has decided to extend through the Easter holidays! This means that children will have more chances to win great prizes, as well as being able to access the free digital library until 10 April. Read for My School is the national schools reading competition from Pearson and Book Trust, with support from the Department for Education.Reading for pleasure is at the heart of the initiative, which aims to generate excitement about books and cultivate long-lasting positive attitudes towards reading. 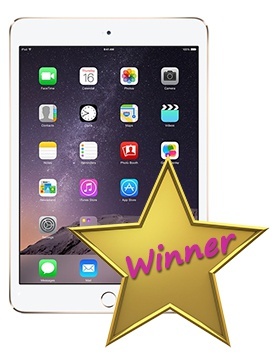 Pupils taking part who read 5 books before 10 April could WIN one of four iPad Minis as part of this year’s competition. 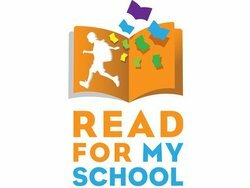 All students have to do is read ANY five books and register them on the Read for My School website for a chance to win. Teachers, please encourage your pupils to take up this Easter Challenge. Winners will be selected at random. Teachers now have the opportunity to nominate pupils, taking part in the competition, to appear on the Read for My School wall of heroes. Just tell us their first name and why they have impressed you in the competition. Make sure you submit your ‘reading hero’ nomination before the 17 April and they’re in with a chance of being featured on our reading heroes wall. Please note: by providing this information you confirm you give us permission to use their first name and your school name to appear on our website, social media, media and other publicity materials. Read for My School challenges children in Years 3-8 attending primary and secondary schools in England to read as many books as they can across two months of the spring term. Prizes are available for pupils and for schools taking part in the competition, at regional and national levels. Last year over 212,000 pupils read a total of 876,000 books, so this year we’re hoping to see over one million books read by children across England. given exclusive access to an online library of titles which their pupils can read for free on the competition website. able to download a list of Recommended Reads from a variety of publishers, which teachers can encourage their pupils to look for at home and in their school or local library or bookshop. In addition to the 100 books that were available to read online on the Read for My School website, we are also providing a list of carefully selected Recommended Reads for Years 3 and 4, and 5 and 6, which teachers could use to encourage their pupils to seek out in their local library or book shop.